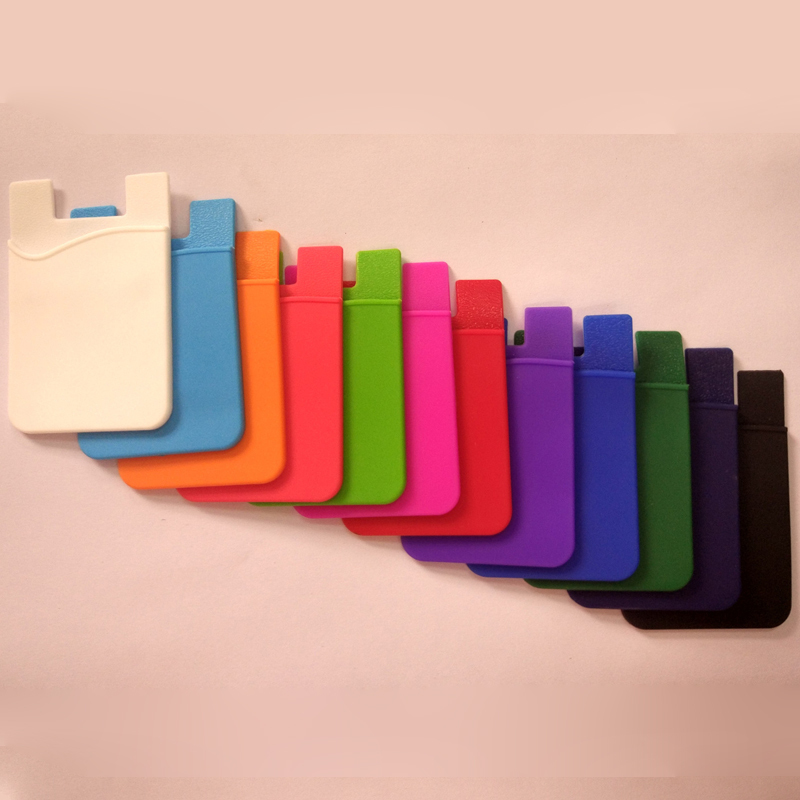 The popular soft silicone mobile wallet is 3 3/8" L x 2 3/16"W. Available in a variety of colors. This must-have accessory can be attached to the back of the unit. Customize with the imprint of your brand logo to get promotional gifts that you will definitely stick to. You can connect to the back of your phone or any other item for quick and easy access to ID, credit/debit card, money, etc. It is also very suitable for driving licenses, business cards, key cards for hotel rooms, etc. This is an excellent accessory for distributing banks, trade shows and more. Use 3M adhesive, a practical wallet on your phone and show your logo or company name imprint! Made of 100% silicone with a strong adhesive backing to secure business or credit cards. The size is suitable for most smartphones. . Welcome Inquiry.